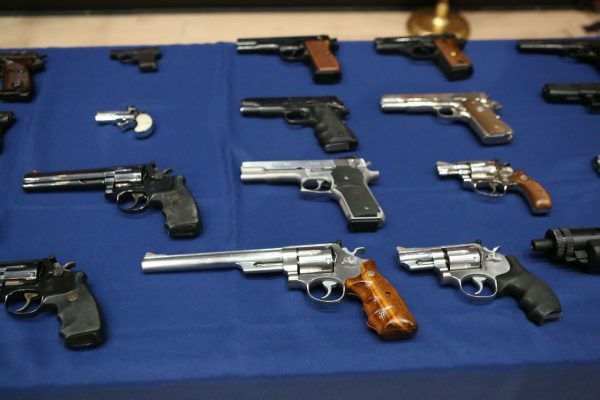 A Bayside man has been charged with stockpiling more than 65 guns, including pistols, revolvers and assault rifles—along with 50,000 rounds of ammunition—in his home, announced the Queens District Attorney today. Ronald Drabman, 60, was arrested at his 58-08 208th St. home at 2:00 a.m. Sunday after police executed a search warrant and found the weapons. He has been charged with multiple counts of criminal possession of a weapon and a single count of the criminal sale of a weapon. Drabman does not have a firearms license and does not have a license to sell guns, according to authorities. He faces up to 25-years in prison, according to the District Attorney’s office. 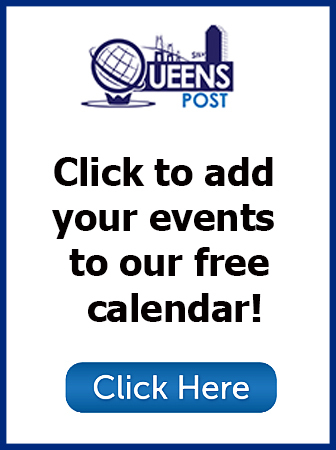 “The defendant is accused of using his home as a warehouse for illegal firearms—along with tens of thousands of rounds of live ammunition,” said Queens District Attorney Richard Brown in a statement. 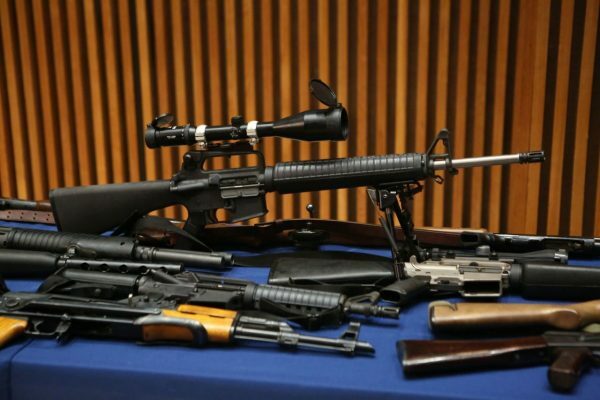 “This stockpile of weapons poses a great risk to the residents of Queens,” he added.